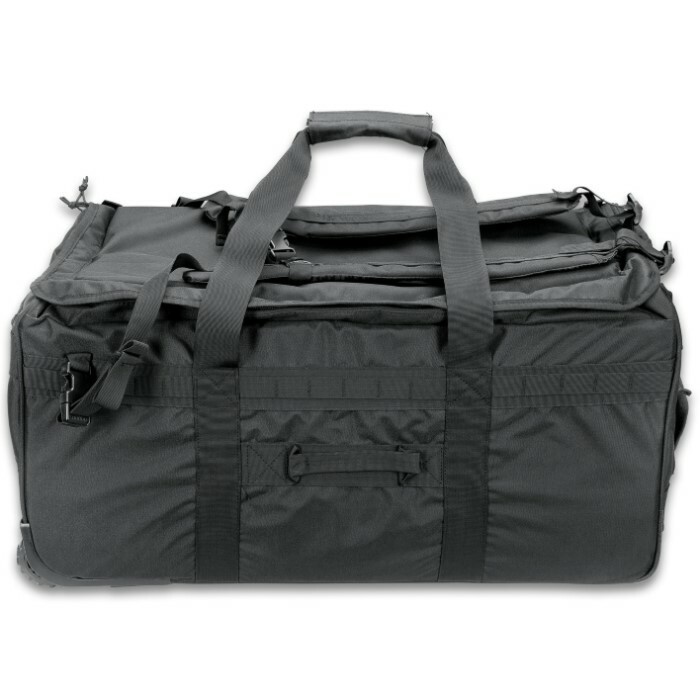 Humvee Deployment Roller Bag - 1,000 Denier Nylon Construction, Water-Resistant, Virtually Indestructible, Shoulder Straps | BUDK.com - Knives & Swords At The Lowest Prices! 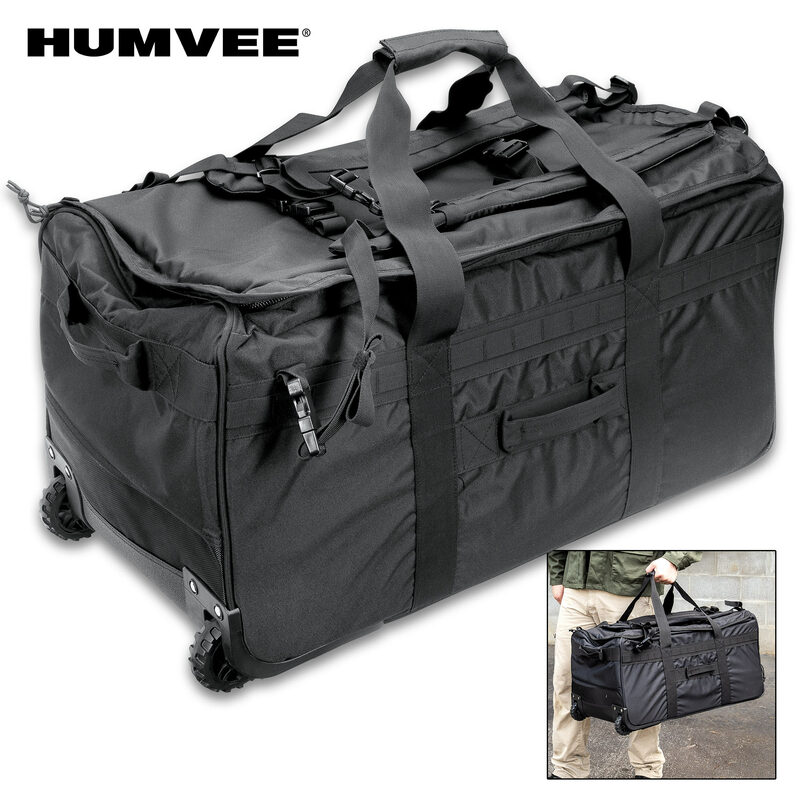 The Humvee Deployment Roller Bag is designed to survive the most demanding situations while still remaining simple and easy to use. 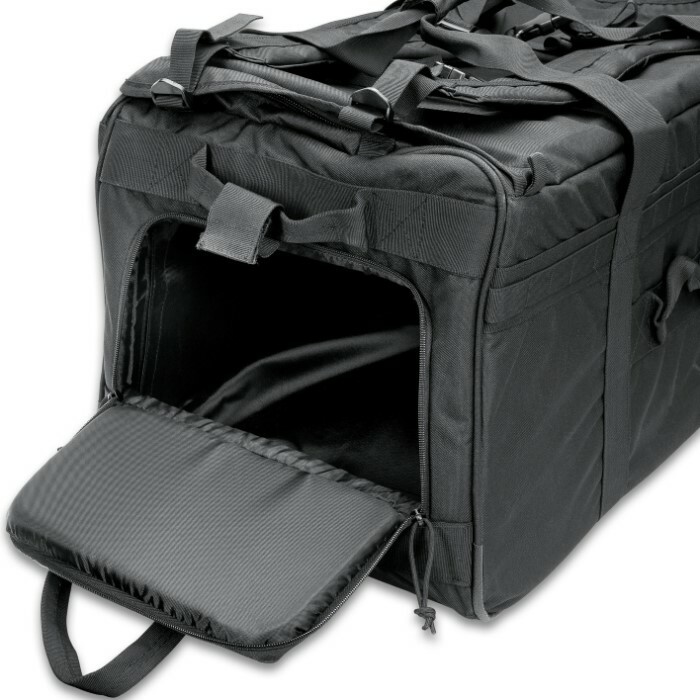 It’s made of heavy duty 1000 Denier Cordura DWR 100% nylon PU-coated fabric that is water-resistant and virtually indestructible. 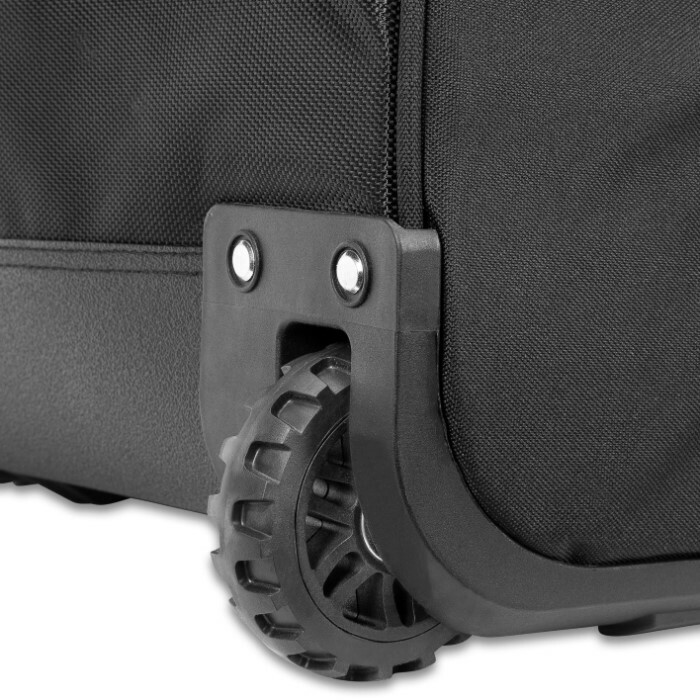 It features stainless steel wheel housings, shoulder straps for easy carry and a durable drag strap that won’t break or malfunction. 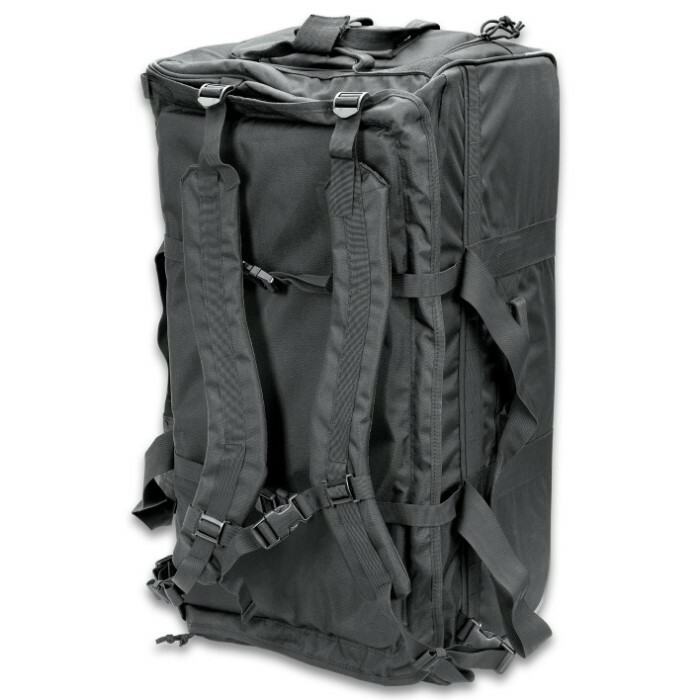 The bottom of the bag is protected with 1680 denier milspec ballistic nylon and 35oz Hypalon so don't be afraid to take it into the field. 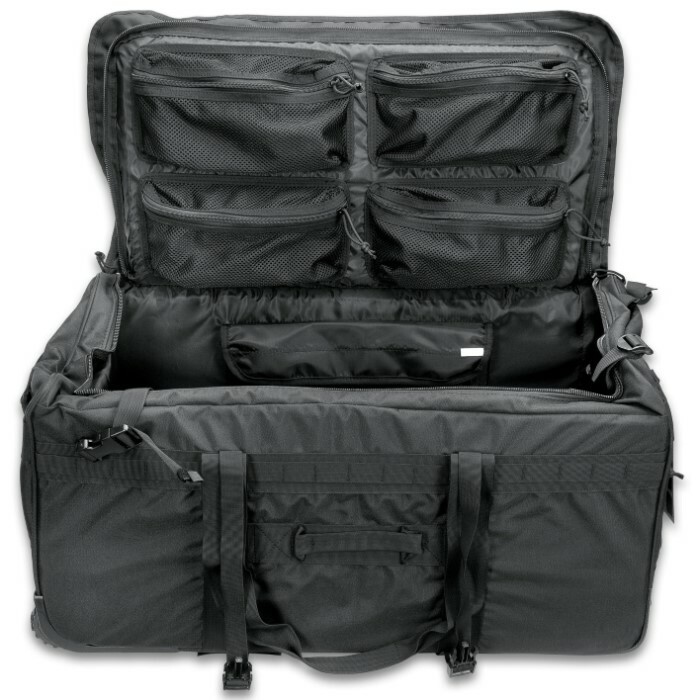 This spacious bag provides ample storage capacity, measuring 30"x 12"x 14", with plenty of additional pockets for smaller, more valuable items. Humvee gear is modeled after equipment that is depended on in the rigors of battle.